April 9th is International Gin and Tonic Day! #April 9th is #InternationalGinAndTonicDay Introduced in the 18th century by the army of the British East India Company; they added #gin to their daily intake of quinine-based #tonic water to make the #elixir more palatable. #TonicWater was taken at this time to prevent malaria. Three (3) ingredients make this refreshing cocktail: vodka, ginger beer, and lime! Invented in 1941, the Moscow Mule got its start like many stars: on Hollywood’s Sunset Strip. In 2019, come celebrate its 78th birthday! 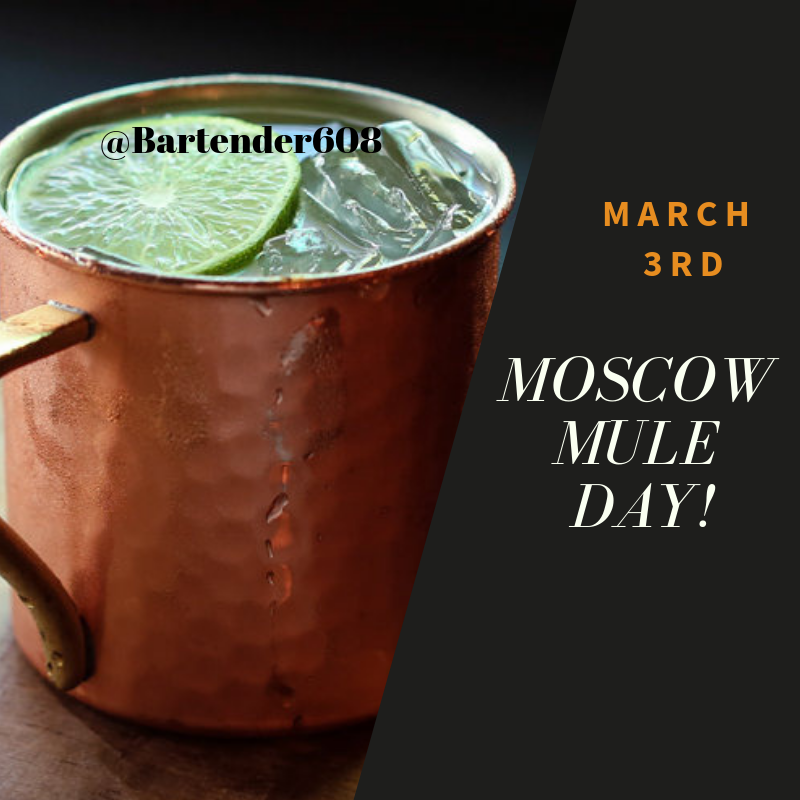 Sunday, March 3rd is Moscow Mule Day!